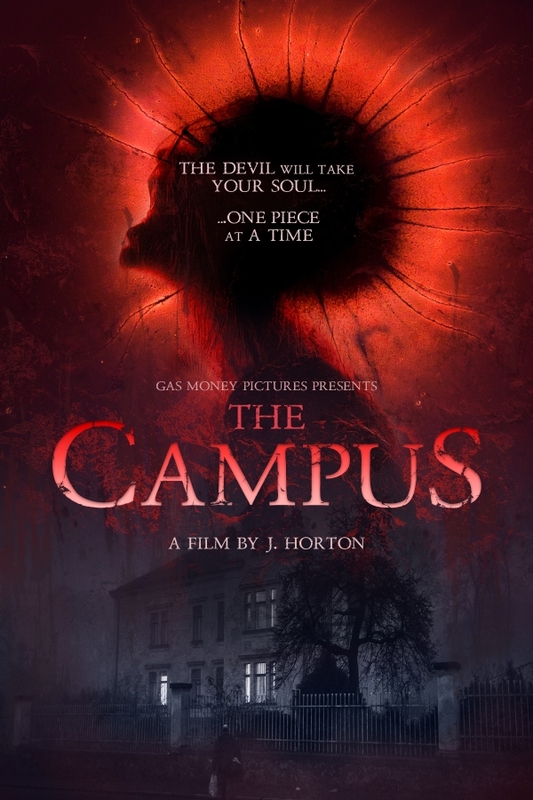 Gas Money Pictures is the studio behind the horror thriller THE CAMPUS. Starring Rachel Amanda Bryant, this film involves Morgan’s greed, a curse and reliving death over and over again. In the story, Robert (Robert C. Pullman) has died after breaking a deal with the Devil. His daughter returns for his funeral, only to be drawn into a family curse.Now, Morgan (Bryant) is in a never-ending cycle of being murdered, resurrected, only to be killed again. The Campus is a genre-bending thriller ride, deftly combining sub-genres such as body horror, zombies, ghosts and monsters. The film was directed by Jason Horton, who directed the 2012 horror film MONSTERS IN THE WOODS (review here). Robert dies after breaking his deal with the Devil, bringing his daughter home for the funeral. Morgan arrives with the intent of ripping off the family business but soon finds herself in a never-ending cycle of terror; being brutally murdered then resurrected over and over again - each time losing another piece of her soul. THE CAMPUS is available now on Amazon Instant exclusively. Later, the film will be available on iTunes and VUDU, at the end of February. Then, THE CAMPUS will show on home entertainment formats (DVD, Blu-ray) in April.